Magtech has been dedicated to producing high quality ammunition for more than 90 years. 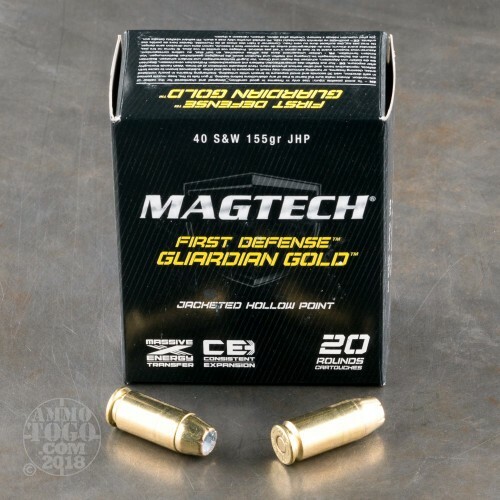 Manufacturing all their own ammo components, Magtech has full control over every stage of the manufacturing process, guaranteeing the quality of the final product. 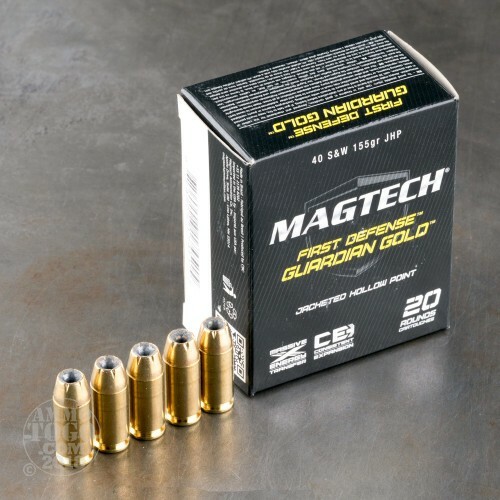 Only the best raw materials available and cutting edge manufacturing techniques are used to deliver the standards that have made Magtech an internationally recognized name in the ammo industry. 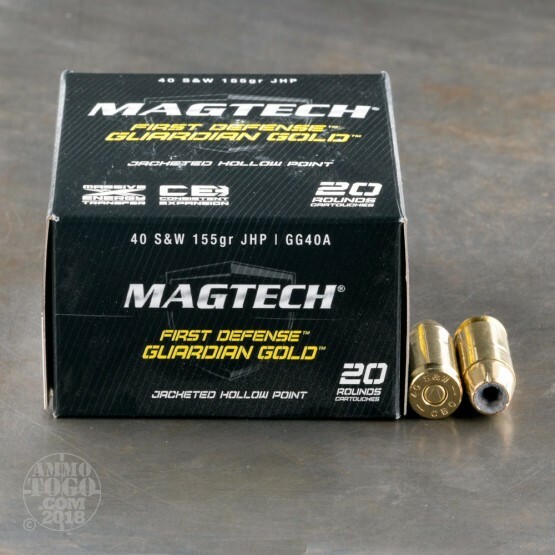 This package contains 20 rounds of Magtech Guardian Gold .40 Smith & Wesson ammunition. 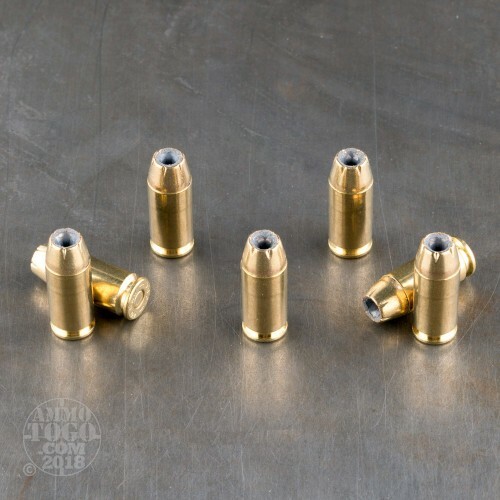 Each cartridge is loaded with a 155 grain jacketed hollow point projectile. Providing a great balance of power, penetration, and expansion, Magtech Guardian Gold is a highly popular personal defense round, especially for the budget conscious shooter. This ammunition is factory fresh and passes a meticulous quality control inspection before it reaches the consumer. Each reloadable brass case is primed with reliable ignition primers and features high-quality, clean burning propellants. Each round produces a consistent muzzle velocity of 1205 feet per second and 500 foot pounds of muzzle energy. Feeds and functions normally even in Walther PPS which can be picky due to high feeding angle. "Snappier" recoil makes it feel like a +P but manageable in SigPro. Hope to not have to use "real world" but confident for home defense.